Male elephants often spend the remainder of their lives caged and in chains, sometimes warehoused in miserable conditions. Prince was born at the Oregon Zoo on May 24, 1987, only to be torn from his mother when he was little more than a year old and sold to a circus. At a time when the small calf should still have been nursing and doted on by his loving mother, Prince’s young body and spirit were being broken so he could perform tricks in the circus. When he was younger Prince toured with the Ringling Bros. and Barnum and Bailey Circus – which shut down in 2017. He was then confined at a circus elephant holding facility in Florida. Young bull elephants don’t last long in circuses. By four or five years of age they are too powerful and dangerous to handle. They often spend the remainder of their lives caged and in chains, sometimes warehoused in miserable conditions. In July 2011 Prince was donated voluntarily to PAWS, at its request, by Feld Entertainment, which owned Ringling Bros. Today Prince enjoys a spacious habitat at the ARK 2000 sanctuary where he can forage on fresh vegetation, bathe and splash in one of his two pools, or lie down on a grassy hillside for a nap in the sun. Please join us in marking not only Prince’s birthday, but his 31 years of resilience in the face of some very hard times. 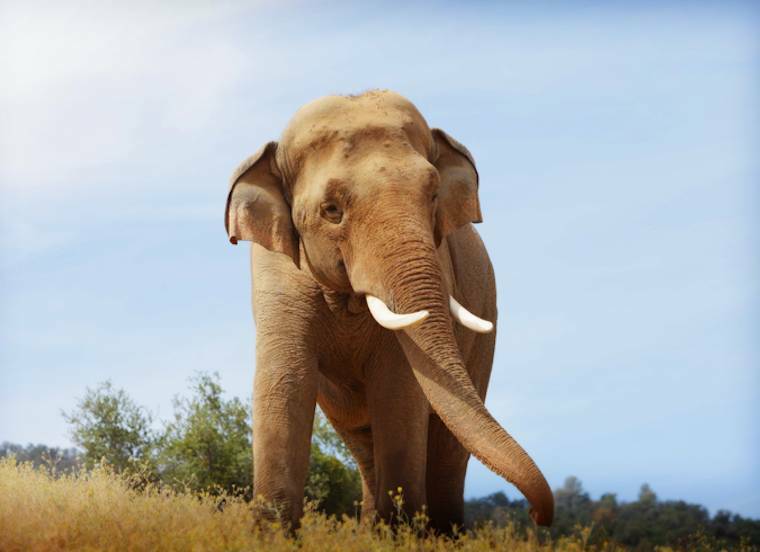 PAWS is honored to provide this special elephant with the peace and quiet of living in nature, and the dignity and respect he deserves.